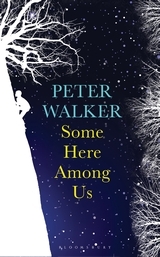 Like most Australians of my generation, I have personal history tangled up with the history of the Vietnam War, so I was interested in this new title from New Zealand author Peter Walker. It’s a story that begins in 1967 with students protesting in the streets of Wellington, emblematic of the way our generation was engaged, politically active, and hopeful that we could change the world. (And we did). A novel I read some time ago about the deification of a friend that died young haunted me while I read Some Here Among Us… it was The Sense of an Ending by Julian Barnes in which an ageing man called Tony Webster reflects on his friendship with the always impressive Adrian Finn. (See my review.) In Some Here Among Us the never-to-be-forgotten friend is Morgan Tawhai, dead for thirty years when the novel opens with a prologue, and still exercising his magnetism from the grave. No one really knows the reason why he was expelled from school, just as they do not know the circumstances of his death. Cleverer than any of them, able to recall obscure facts about the Immortals, he was immortal himself. Like the generation they represent, Walker’s characters were wild ones in their youth. ‘Race’, Candy, Chadwick and FitzGerald were often drunk and/or stoned, and they did foolish and sometimes illegal things. Morgan, for example, smashes a jeweller’s shop window to steal some rubies – to make up to his girlfriend Liddy for kissing another girl at a party. ‘But, I mean – why?’ he said. ‘Well, I was dancing with Butterfly,’ said Morgan, ‘and she and I went out in the back garden and we kissed. This was a party up on The Terrace and we went out the back, and we kissed and then Butterfly said: ‘Excuse me, I have to have a pee.’ And she went over to the wall and lifted her skirt and she pissed against the wall. Butterfly was a boy! And I thought, ‘Oh, boy! What am I doing here?’ and I got out of there. I ran away and I came back down-town and took this necklace. This is a generation that is not sentimental about the Anzacs. Morgan is scornful about the commemoration of General Allenby in Allenby Terrace, recalling Allenby’s reaction to the Surafend Massacre and (drawing a rather long bow IMO) citing this atrocity as the catalyst for the sad and sorry history of Middle East attacks and reprisals. These characters are also not sentimental about relationships, Fitzgerald being the heartless Casanova of the group. A road trip shows us the unspoken jealousies – it wasn’t ‘cool’ to be ‘possessive’ about women. These individual histories forged in the crucible of the 1960s move on in separate trajectories which show how faraway wars of one sort or another have been a continuous element in their lives. There are five discontinuous parts to the novel: 1967 as New Zealand debates its commitment in Vietnam; 2001 i.e. post 9/11 Washington; New Zealand 1969; a wedding in Beirut in 2004 and New Zealand in 2010. But the passage of time and its ensuing generations made for a rather long and occasionally confusing cast of characters, and I had to do more re-reading to clarify people and events than I wanted to. While I enjoyed revisiting the 1960s, and was interested to see what became of the characters over time, this lack of coherence left me wondering what the novel was really trying to say. Time passing, the past is ever with us, loss never really leaves us? Yes, there was some elusive thread holding it together but I was lost among the fragments.